When I arrived home from visiting family in Virginia for a few weeks, I was greeted by a boat load of zucchinis! The first thing I thought of when I saw the glorious load was 1. Zucchini Bread ( If you are looking for a vegan zucchini bread recipe check ours out here) and 2. 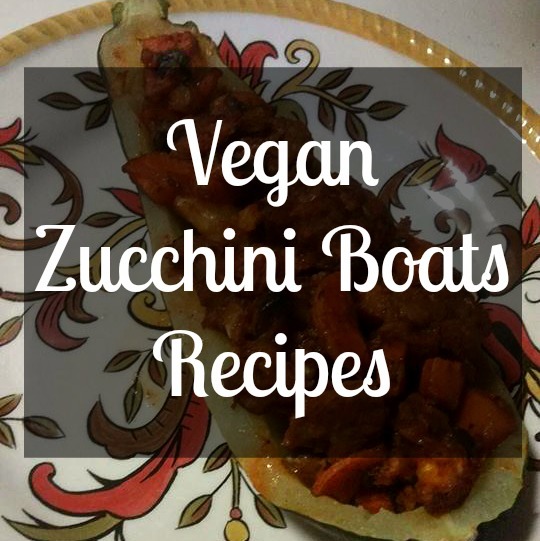 Zucchini boats! I learned the base recipe for zucchini boats while in school. I say base because the stuffing of this recipe can change depending on what you have. This is a great recipe to make when you have a bunch of veggies getting ready to go over to the dark side. 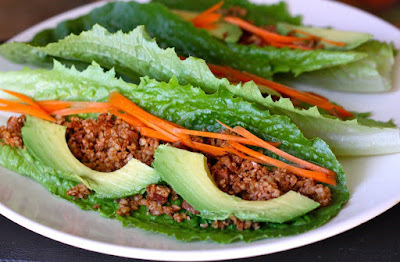 When I was in school, I was taught to make this with meat sausage (I was not a vegan or vegetarian at the time), but I have easily converted it to a vegan recipe by using Lifelight Meatless Gimme Lean® Sausage. This product is soy based (if you are anti-soy than you can use any other vegan sausage) you can go on Lifelights website and ready about this product and the other ingredients in it as well as all of the other products the offer. Zucchini is a favorite in my house and I hope your family enjoys it as much as mine does! 1. Cut each zucchini in half and take out the seeds and set them aside. You want to leave at least 1/8th of an inch of flesh on the side because this will help keep the boat together once it cooks. 3. While the zucchini is boiling, start cooking the filling. 4. First, you want to add the garlic, onions, and carrots into a skillet with a bit of olive oil in it. 5. Once the carrots are about half way cooked, add in the Lifelight Meatless Gimme Lean® Sausage. 6. Break apart the sausage as it is cooking. You want it to be in as small of pieces as possible. 7. Once the sausage is completely cooked through, add the mushrooms, salt, and pepper.